Volvo S90 Interior, Sat Nav, Dashboard | What Car? 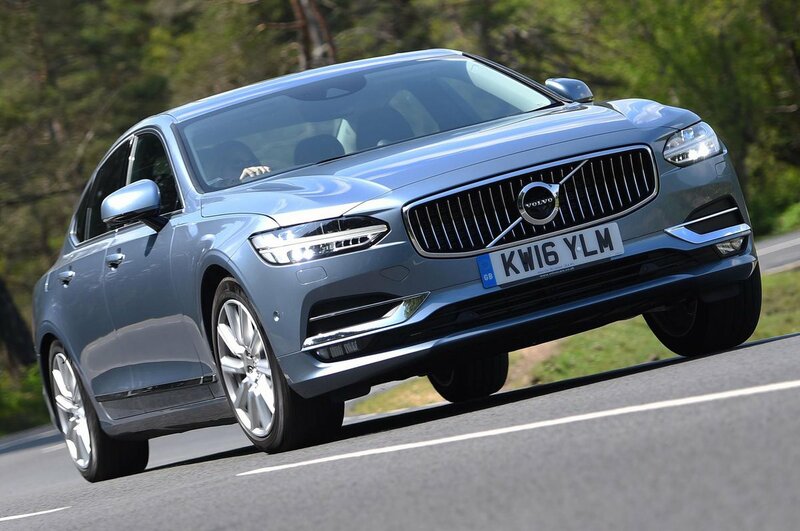 The driver of a S90 is treated to a brilliant driving position, no matter what their size or shape. Volvo’s seats are famous for their supportiveness and the S90’s are no different, while standard electric lumbar adjustment and seat-height adjustment make getting comfortable no problem. The S90’s steering wheel has a generous amount of adjustment, too. All S90s are automatics and its two pedals are nicely aligned with the driver’s seat, ensuring a comfortable body position on long journeys. Forward visibility is very good, and while the rearward view is slightly obscured by the thick back pillars, rear parking sensors come as standard. The S90's Sensus infotainment system is the same one you'll find in the V90 and XC90, featuring a 9.0in tablet-style touchscreen through which you control many of the car's functions. It's responsive when you press it, but the large number of functions and small on-screen icons make it fiddly to use on the move. We prefer the rotary-dial controller that you get in a 5 Series, but the S90's system is still up to the job. There’s a great ambience to the S90’s cabin. It’s a clean-looking design finished to a high standard - on a par with that of the BMW 5 Series, and not far off the Audi A6. Everything feels well built and there are plenty of soft, dense materials and solid switches throughout. All models get leather seat trim, although only the higher-grade Inscription trim gets softer Nappa leather, as well as plusher wood trims and extended ambient lighting.